Leaning on the Everlasting Arms: And The Winner Is .......Sulmi! Sulmi is fourth form the left. There were about 300 people in the audience. Hooray for Sulmi. She won the National Spelling Bee for the Deaf. 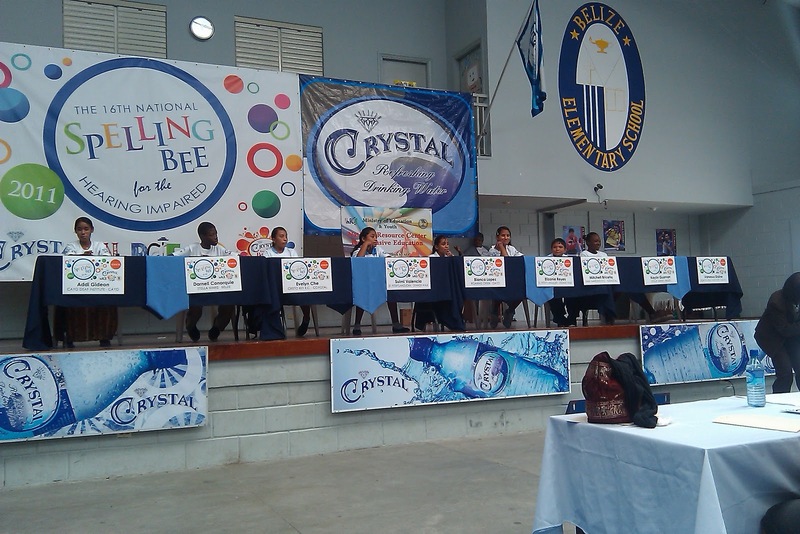 Every year the Ministry of Special Education and Crystal Water team up to host a spelling bee for the deaf children around the country. There are two divisions: Juniors-ages 10 and under, and Seniors-ages 11-16. 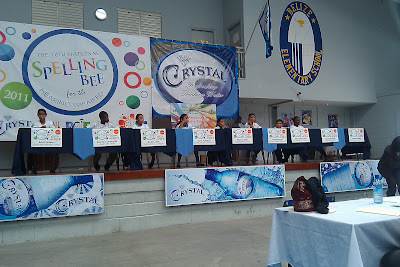 Sulmi is 12 and she beat out 8 other contestants most of whom were older than she. I am so proud of her. We practiced a set of over 300 words for two months and she knew them all by the day of the event. Many of the deaf adults from our church came to cheer her on. At first she was nervous to see Mario, Edgar, Manuel, Angelica, Elton and Kelsey in the bleachers...but by the third word she was confident and on a roll. 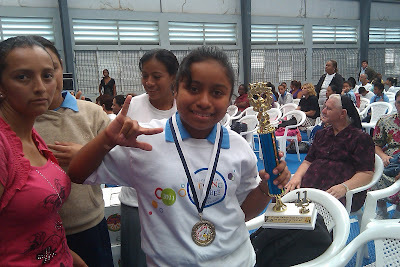 Sulmi with her medal and trophy. Congrats to Sulmi! That is amazing! And congrats to you, too, Abuela!